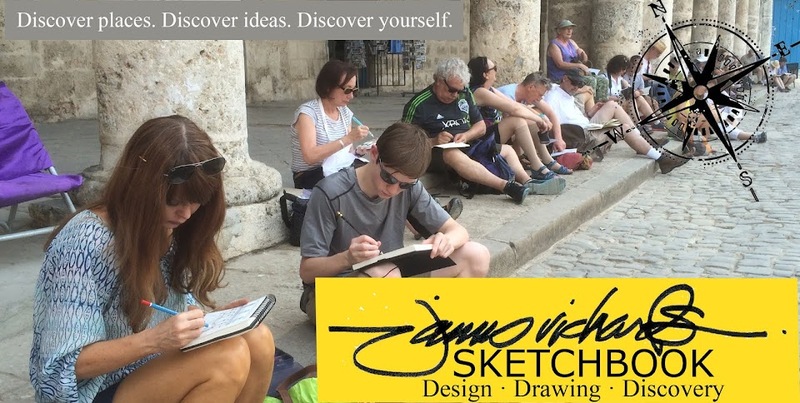 Our 3-week sketch/study trip in South America with my old friend Professor Max Conrad and many of the usual suspects begins Saturday. 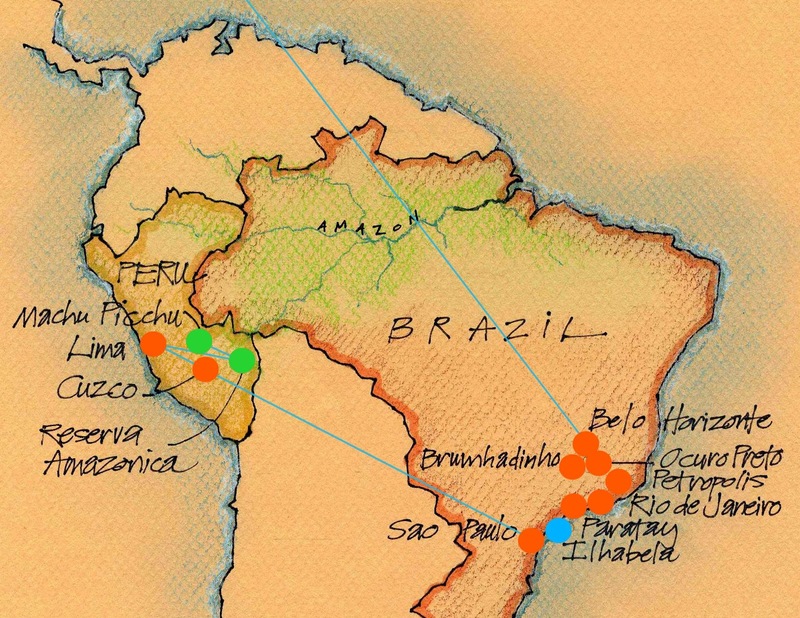 Patti and I will fly to Belo Horizonte in Brazil, then make our way along the southeastern coast through Ocuro Preto, Petropolis, Rio de Janeiro, Paratay, Ilhabela and Sao Paulo. While in Sao Paulo we will stay with my old friend and fellow LSU landscape architect Sergio Santana. Then off to Peru to experience Lima, an ecotourism lodge at the Reserva Amazonica, Machu Picchu and Cuzco before heading back to Texas. My goal is to produce between 40 and 50 watercolors during the trip. We've visited 36 countries since 1999, but this is our first trip to South America. It's overdue, and we're really jazzed. High adventure indeed. This weekend found me road-tripping from Fort Worth to Houston to Thibodeaux, Louisiana and back. 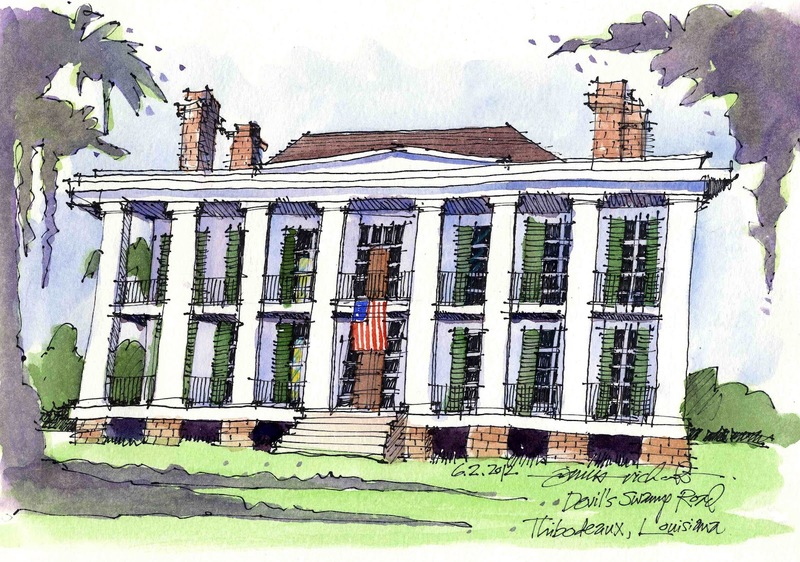 I sketched this amazing Greek Revival house on the edge of Thibodeaux while my daughter attended a friend's wedding festivities there. I later found out it's the Ducros plantation house, built between 1830 and 1850. 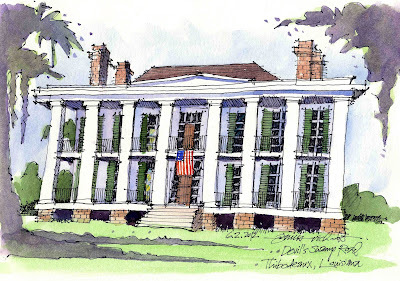 It's on the National Register and is currently undergoing restoration to see new life as a bed and breakfast. I loved the fact that the road sign across from the house said, "Devil's Swamp Road;" sounds like something from a screenplay. The sketch took about 20 minutes, standing on the roadside and using the trunk of my car as a drawing table. I added the watercolor later while having lunch at Cane's Fried Chicken in town. 8 in. x 11in. in a Moleskine Watercolor Sketchbook.